StorDigital Systems are please to announce that their website is now commerce enabled. This means StorDigital resellers can get up to date product information and make instant purchases online. Reseller orders are subject to acceptance of the StorDigital Systems reseller terms and conditions. 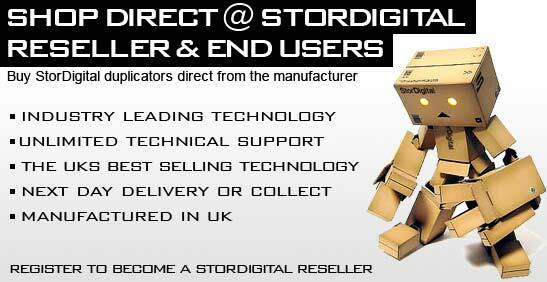 Why register to become a reseller for StorDigital? We offer our trade customers the opportunity to be part of a grwoing network of digital media professionals supply leading edge technology to a growing user base. When you deal direct with StorDigital you are working with a company dedicated to delivery the best possible solution for you and your customers. By working closely with StorDigital you will discover new and evolving markets, in health, media, government, education, and businesses of all sizes. StorDigital – offers opportunities limited only by imagination. To find out more simple fill in the StorDigital reseller application form.